For guests looking to grab a quick bite or more, visit the Silver Lake Snack Shack. 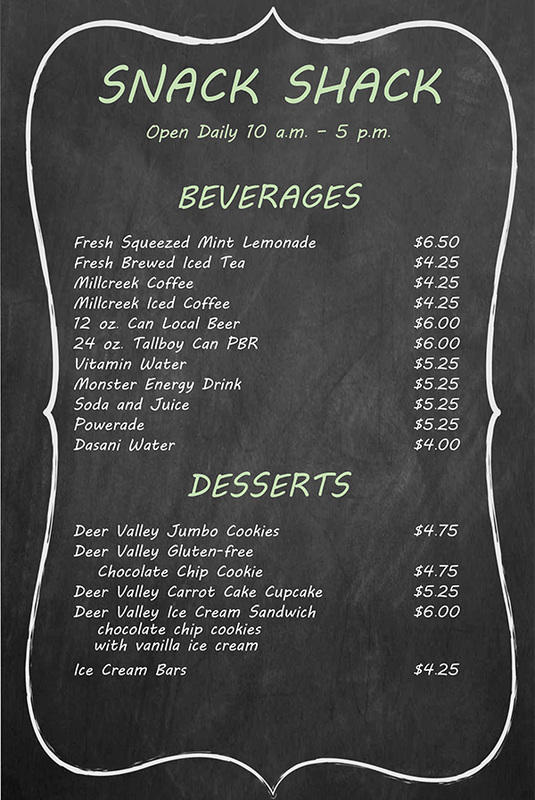 Located near the Silver Lake Lodge, the shack offers freshly made wrap sandwiches, picnic snacks, beverages, beer, desserts and ice cream sandwiches. The shack is open daily from 10 a.m. to 5 p.m., June 15 through Labor Day, then weekends only through September 16, 2018. And for guests in the Snow Park area, Deer Valley Etc. 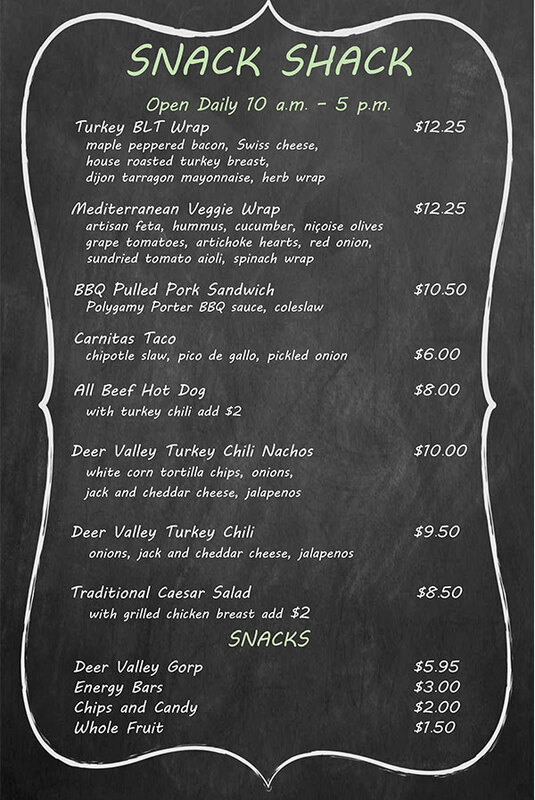 is now offering wrap sandwiches in addition to specialty coffee drinks, sundries and frozen yogurt.